The 100 block of East College Avenue in Downtown Hartsville is our Entertainment District. It is home to some of our best restaurants and hang out spots and hosts block parties and other events throughout the year. The 100 block of East College Ave, between Fourth and Fifth Street’s, is Hartsville’s Entertainment District. The block hosts concerts, block parties, and other events throughout the year. The area is also home to many of Hartsville’s best bars and restaurants and is the center of the City of Hartsville Open Consumption Area, where of-age guests are allowed to walk around downtown between shops and restaurants with an alcoholic beverage that was served to them in a clear plastic cup. 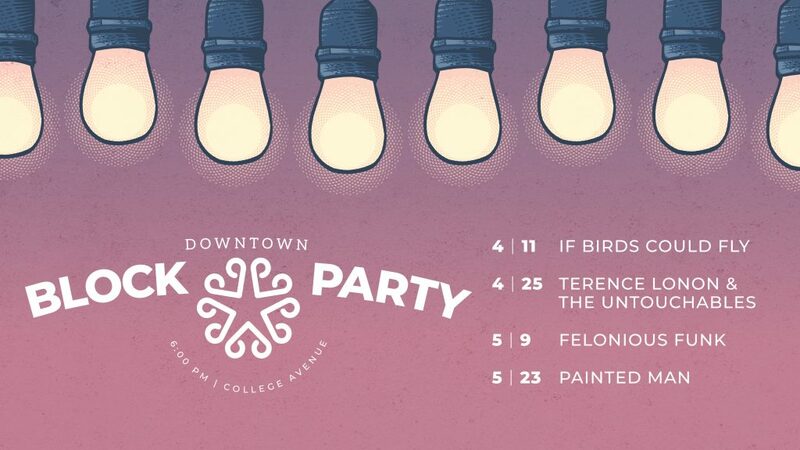 The Spring 2019 Downtown Block Party concert series is coming soon!